Who knew Alfredo Pasta was so easy to make! But really, so many favorite recipes I once thought to be too difficult that I never even looked to see how easy they really could be and this is among them. So I rarely ate Alfredo Pasta because I just didn’t know how to make it. Well, let me help you realize that it’s quick and simple and before your pasta is even cooked this Alfredo Sauce will be bubbling hot and ready to devour. The instructions are super simple, but even you won’t believe it so I’ve put together a quick video to prove it to you. Now don’t you wish you just kept whipping cream in the refrigerator? Well, I stock it now because you just never know when a little bit of Alfredo Pasta will curb an appetite. In a saucepan over medium/high heat, melt butter, add garlic and saute’ until golden brown. Then add whipping cream and give it a quick stir. Sprinkle parmesan cheese over the top and give it a quick stir again. Allow it to bubble a little bit and stir it so it doesn’t burn. The heat will melt the cheese. Add Salt and Pepper to taste. After about 5 minutes it’s ready. The sauce will thicken as it cools. Although in my home, it’s never allowed to cool as it’s devoured so quickly. It’s really that simple. 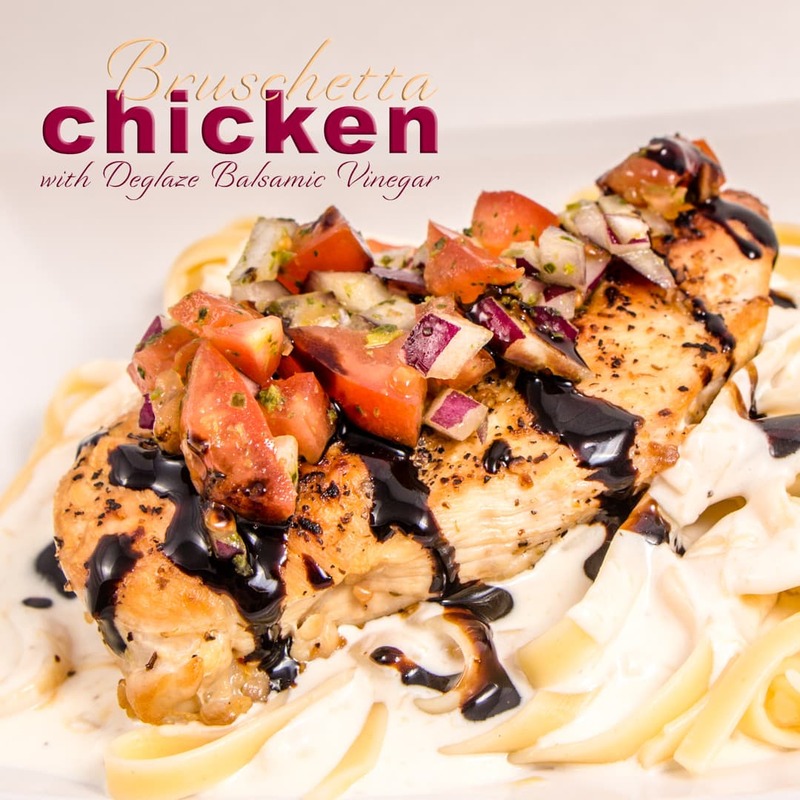 Serve Alfredo Pasta wit the Bruschetta Chicken and even the Easy Garlic Bread. Oh so good! 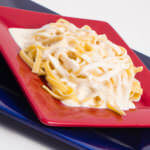 Creamy Alfredo Pasta made fresh in minutes. 1 pkg noodles fettuccine, linguini, spaghetti or whatever you prefer. Add whipping cream and stir to combine and allow to heat up until small bubbles begin to form. Add parmesan cheese and stir to combine. Add salt and pepper to taste. Casually stir sauce and allow bring to a slow simmer for 5 minutes. Remove from heat. Sauce will thicken as it cools. Serve over pasta. If I’m in a big hurry, can I use store bought grated parm cheese? I use the fresh grated store bought parmesan cheese. Do not use the power stuff. Either grated or shredded. It’s amazing! Thank you for this. I always feel like store bought sauce tastes a little off! Store bought sauce does taste off…This is so simple and easy. We love it! I need to make this. 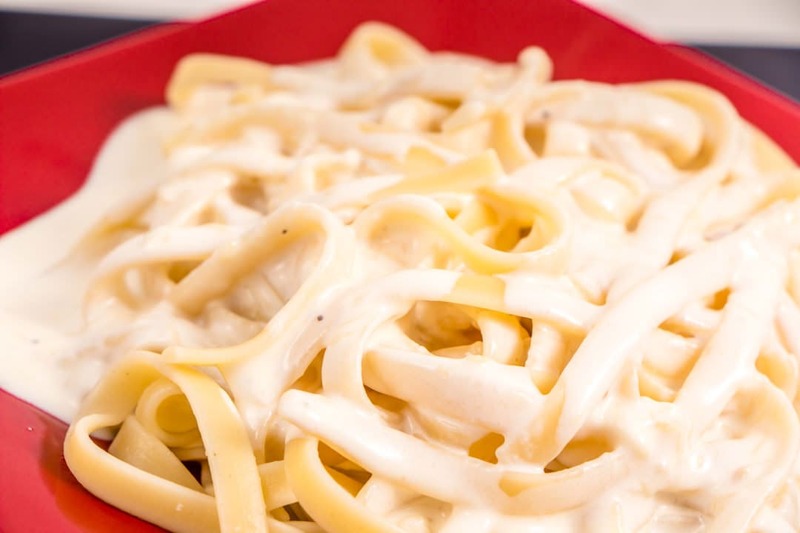 My kids love alfredo, but I rarely make it because I just don’t think about it. This is a good recipe because it doesn’t take hard to find ingredients. I’m pinning this. I love recipes with easy ingredients. All my recipes use easy to find ingredients that are easy to make too! I’m so happy you found a recipe you like. I’m sure your kids will love it! We have family family friendly recipes here on the blog. Everything I post comes from my own busy kitchen full of kids activities. An easy healthy meal is what I’ve strived for. Oh my goodness, this literally made my mouth water just looking at the photos! I can’t wait to give this a try! This is one of our favorites, and so simple that even my teenagers make this too! I love it! This is a great easy and basic meal (and I love that its homemade sauce rather than from the bottles!) I love to add mushrooms (and juices that accumulate while cooking) for that little extra taste! Using the juices from cooking always adds extra flavor that is wonderful! Keep it up and enjoy the fresh taste. Once I realized how to make Alfredo from home, I never went back to a jar. It’s just too simple to make on the stove to do it any other way. And the taste is perfect every time. I hope you try this recipe and others out. Let us know how it goes! That’s a fantastic, quick weeknight meal and my kids would love it. I worked at a restaurant where they added nutmeg to the alfredo sauce. I guess that was their secret spice! Nutmeg? Really? I’ll have to try it! That is a great tip.